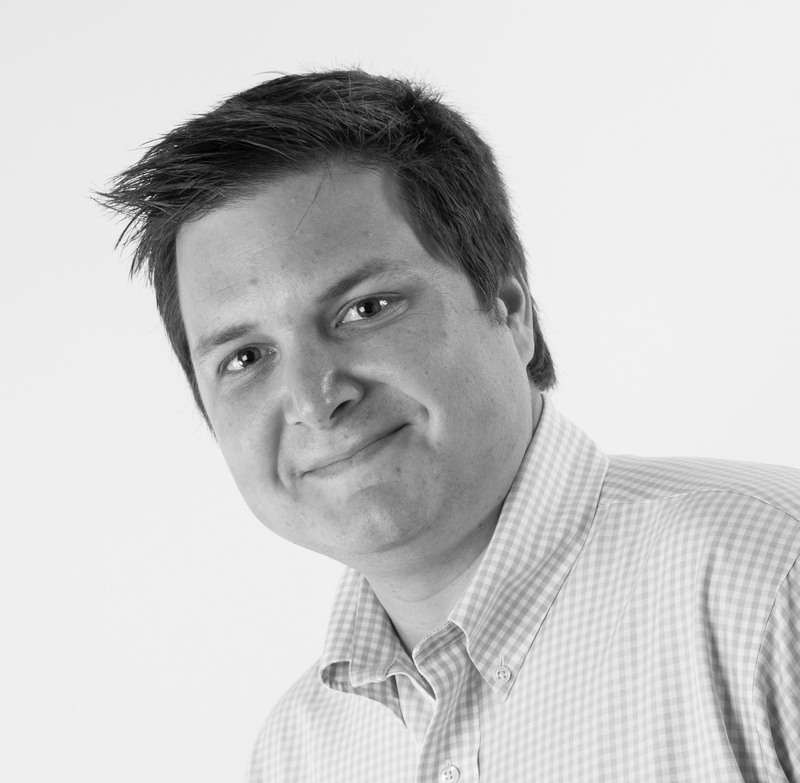 Scott is a specialist in quantitative market research with over 10 years' experience in the US and MENA. He has spent the past 5 years at YouGov leading the travel, leisure and entertainment research team working with major local, regional and international travel and tourism players across the Middle East & North Africa. on April 8, 2019, 9:33 a.m.
Samsung is the brand that has achieved the greatest uplift in its Ad Awareness in both the UAE and KSA in March. The South Korean manufacturer recently unveiled its new line-up of premium smartphones, the Galaxy S10 series, which went on sale in mid-March. The smartphones are described as next-generation devices, with innovations in the display, camera, and performance. Samsung has released a number of adverts to promote the launch (https://bit.ly/2UDkpiF, https://bit.ly/2WVVVyR ), as well as running a #GalaxyOfSurprises campaign, where Samsung crew surprised people across the UAE with gifts (including the new Galaxy S10) in unexpected places such as cinemas, supermarkets, and universities. Samsung has also taken over the Dubai Ice Rink at Dubai Mall, hosting activities and challenges with the chance to win one of many Galaxy S10 devices. People are certainly noticing the ads. 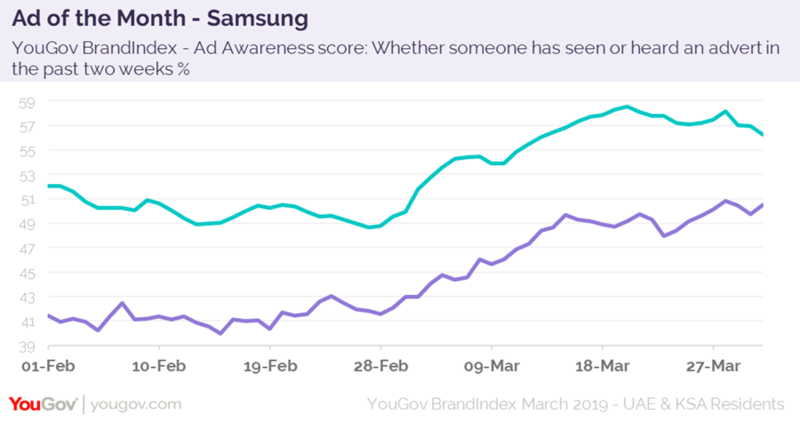 In the UAE, Samsung’s Ad Awareness score (whether someone has seen or heard an advert broadcast by a company in the past two weeks) has risen by +9.0 points from +49.6 on the 1st March to +58.6 on the 20th. The same is true in KSA, with the brand’s Ad Awareness score increasing by +8.7 points from +42.1 on the 1st March to +50.8 on the 28th. Not only are people noticing the campaign, but it has got people talking too. Samsung’s Word of Mouth Exposure score (whether someone has talked about the brand with friends and family in the last two weeks) has jumped in the UAE from +43.2 on the 1st March to +50.2 on the 21st March. While in KSA, the brand’s Word of Mouth score increased from +37.6 on the 1st March to +42.5 on the 28th. Please read our community rules before posting.